It looks like the son could not wait to get his hands on his father’s vast fortunes through the proper way like in the form of inheritance, that he resorted to killing his own father. The law, however, has caught up with the former Canadian millionaire and twice-convicted murderer with his recent conviction for murdering his father. Initially, the elder Millard’s death in 2012 was ruled as a suicide. As a result, the son inherited his father’s wealth after the elder Millard was found shot in the head. The new ruling found the 33-year-old son guilty of shooting his father while he slept. 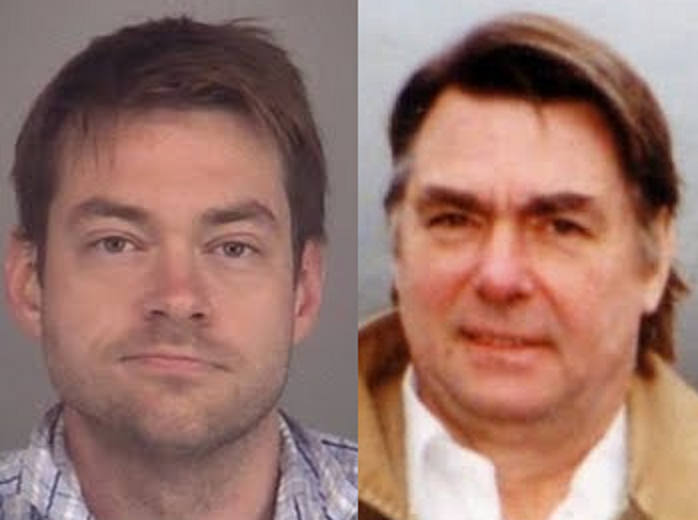 The younger Millard told police after “discovering” his father’s death that the latter had been “depressed and alcoholic”, presumably to give more weight to the suicide angle. Employees at MillardAir, the family’s aviation company, however, spoke of earlier tensions they have observed between father and son. It would take the killing of a stranger perpetuated by Millard for authorities to start linking and investigating him for his father’s death. They would later find out that the gun found on the elder Millard’s bed at the time of his supposed suicide had been purchased illegally by the younger Millard from a gun dealer months earlier. Millard’s DNA was also found on the gun’s grip. In 2016, Millard was found guilty- along with his friend Mark Smich- for murdering Tim Bosma, who was selling his truck to Millard. The three sentences of Millard and Smich are being served consecutively, and it will take 50 years before the pair could be eligible for parole. The friends have both filed appeals.